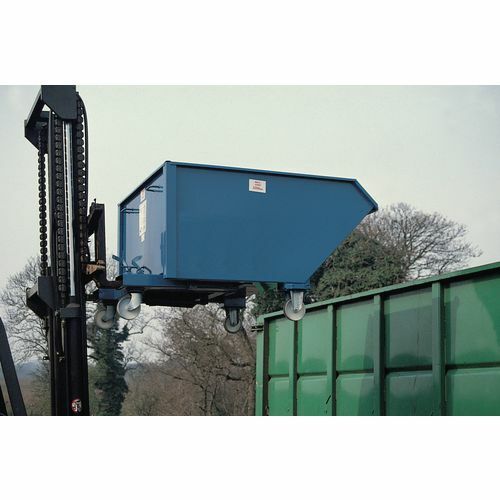 Automatically empties to avoid handling of potentially hazardous waste. No climbing up to reach handles. 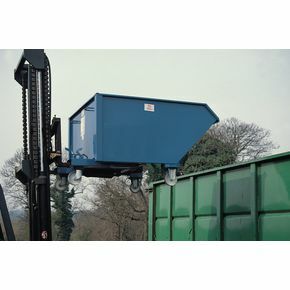 Complete with safety chain and manual tipping handle for ground use. Manufactured from 3mm plate steel with oil-tight welds. Castors available as an optional extra. Heavy duty nylon castors, two fixed and two swivel (optional extra). The below accessories will be available to purchase on adding this product to your basket. Please note these products cannot be sold separately. Heavy duty nylon castors, two fixed and two swivel.